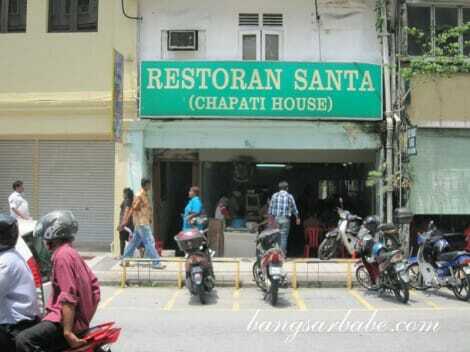 With its tiled floor, glass food display and metal tables and chairs, Santa Chapati House looks like any no-frills restaurant in Kuala Lumpur. 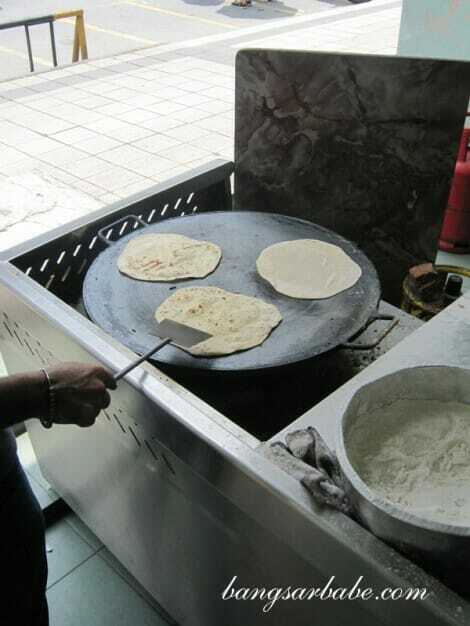 I recently walked past the place after having lunch a few doors away only to be drawn in by the delicious aroma of freshly made chapati. I spied a girl tucking into her plate of chapati and chickpea masala so intently and decided I had to pay this place a visit. That visit happened last week during lunch, when my colleagues and I wanted a change from Chinese food. We got there slightly before 12.30pm and found ourselves a table near the counter. The place was already packed and strangers were forced to share tables. Service was brisk and friendly and despite how busy they were, the waiters always had a smile on their faces. 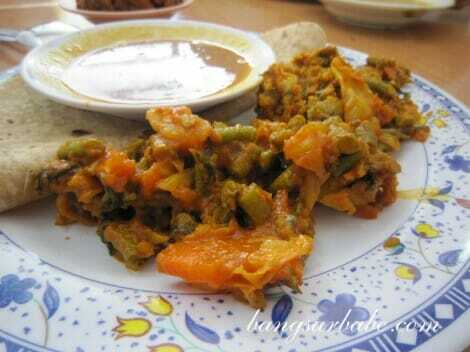 I ordered the chapati (RM1.20 each), chickpea masala (RM1.50 per serving) and a small plate of chicken varuval (RM3.50). There’s also white rice to go with the vegetables and curries if you’re not keen on chapati, but I’m telling you, you’re missing out big time if you don’t get the bread. Santa’s chapati was relatively large and had the perfect combination of ghee and whole-wheat flour. Each bite was warm and crispy on the top, with a fluffy centre. It was too delicious to stop at just one so I ordered another chapati. Don’t be fooled by its simple appearance – the chickpea masala was heavily flavoured with spices, resulting in a dish that was spicy and flavourful. 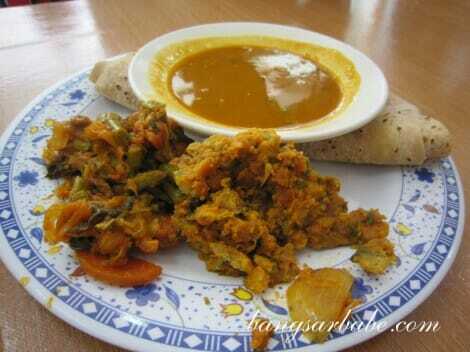 Together with the dhal, it went perfectly with the chapati. As the clock moved past 12.45pm, the restaurant got noisier and more and more people were seen waiting for a table. A stranger took a seat at our table in front of me, and proceeded to order three pieces of chapati with the works. I guess I’m not so greedy after all! The chicken varuval packed a lot of punch. Unlike most chicken varuval which is dark in colour, Santa’s version came in a reddish-brown gravy. One bite and I was hooked. The chicken pieces were fork tender and well-flavoured by the piquant gravy. It might not seem so hot at first, but the heat creeps up slowly but surely. But the chicken was worth the sweat-trickling experience. 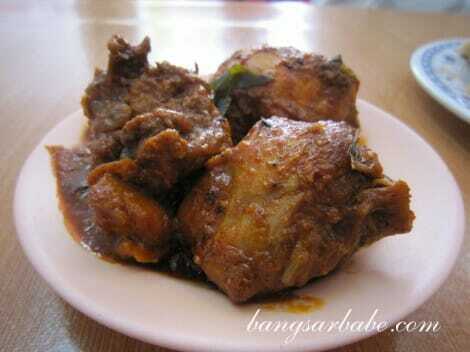 Don’t forget to ask for the chicken thigh and drumstick; I found the meat tastier and smoother. We didn’t stay long as a group of people started crowding around our table with their hungry stares. 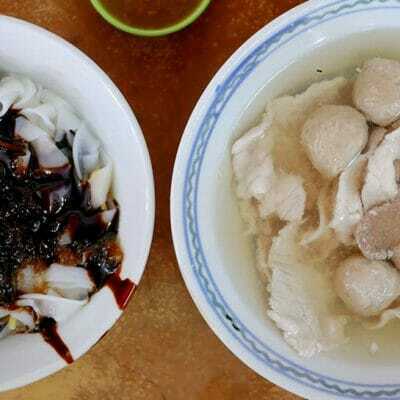 My bill came up to an affordable RM7.70 – quite reasonable for the amount I ate and by KL standards. I was told that Santa also serves some pretty good samosa and pakora. A pity none of those were available that afternoon. I’m already planning my next visit to try their highly recommended mutton keema and to enjoy more chapati. We found the owner to be very pleasant and the food on the whole was simple yet delicious. While I found the crowd rowdy and impatient, that isn’t going to stop me from patronising Santa Chapati House. For me, the best part about eating in such places is the atmosphere. The fact that service is brisk and friendly certainly helps! *Read my Star2Sunday column on Santa Chapati House HERE. Verdict: Friendly service, delicious food and reasonably priced too!